After a couple last-second injuries and substitutions, the 11-bout lineup for “UFC 170: Rousey vs. McMann” is once again finalized. Raphael Assuncao was initially slated to face Francisco Rivera, but “Cisco” recently suffered a broken hand in training. Assuncao now welcomes Octagon rookie Pedro Munhoz to the big leagues on February 22. In addition, Lucas Martins was forced to pull out with an undisclosed injury. Cody Gibson will now battle Aljamain Sterling. Mandalay Bay Events Center in Las Vegas, Nevada serves as host. 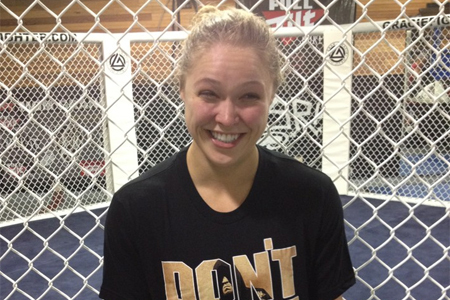 A bantamweight title tilt between champion Ronda Rousey (pictured) and Sara McMann headlines the pay-per-view broadcast.